When sewer lines break, households often grind to a halt. Persistent freezing and thawing, root intrusion and badly-installed components can cause your sewer pipe to fracture and fail. Broken lines bring to mind images of torn-up yards, heavy machinery, expensive bills in the mail and extensive restoration costs—but there are alternatives. Various innovative trenchless sewer line repair methods exist, which can help reduce mayhem and save you money. Regular sewer line repair involves fairly extensive excavation, removal of old pipes, new pipe placement and ongoing yard restoration. Trenchless sewer line repair, on the other hand, is far less invasive. Professional rooter service companies are equipped to handle trenchless repair use two main methods to restructure sewer pipes without digging enormous holes in the ground. Also known as a “cured-in-place pipe,” pipe lining generally takes less than a day to complete and makes the most of your existing sewer line. Professionals push or pull a flexible, epoxy coated tube into your sewer line and then inflate it, pushing damaged pipe components. After inflation, the epoxy coated tube cures and hardens, creating a new conduit for waste. Sometimes, existing sewer lines are damaged beyond repair. As long as there’s room to drag a cable through the old line, pipe bursting can provide a solution. During the pipe bursting process, professionals dig access holes on either side of your pipe, and then pull a brand new pipe through the damaged line, fracturing the old line outward as they go along. Pipe bursting and pipe lining both meet industry standards, and most professionals consider them comparable in terms of durability. Both methods of trenchless pipe repair are permanent. Trenchless sewer line repair may cost a little more than regular sewer line repair, but you won’t have to spend additional money on extensive yard restoration afterward. It’s also significantly less disruptive than traditional sewer repair. Costs can vary depending on how deep your sewer line is buried, how much materials cost and what type of soil you have in your yard. Trenchless sewer line repair can help your household recover from a sewer line break more quickly and can eliminate most of the restorative work you’d have to account for with a trenched repair. Older pipes can crack and leak. Rather than digging them up, lets re-line your sewer drain and save you money. We’ll repair your drainage pipes whether they are copper, iron, clay or pvc pipes. Trenchless sewer line repair is a much more cost effective option to repairing sewer lines when compared to digging up and replacing drain lines. 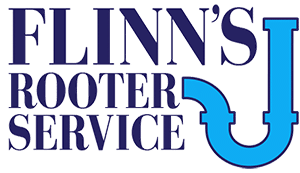 To find out more about trenchless repair, contact Flinn’s Rooter Service and ask for a free, no-obligation quote today.